Office removals are not as easy as ordinary home ones. There are much more details that must be considered if you want everything to pass without any incidents. Organising this could be a real challenge, especially if you have to change the location of a bigger office. It’s a quite difficult task to coordinate lots of people, to warn your clients and business partners and on top of all that to take care of all utilities. You must decide which items should be transported to the new office, and who will keep an eye on the whole process. Find reputable movers. This is probably the most important part of your office moving. You should select a trustworthy removals service if you want your valuable documents and expensive technique to be in good hands. Compare a couple of different quotes, check the quality of the provided services and select the best one. On the moving day, it’s always a good idea to be well prepared. Make sure that every one of your employees knows their responsibilities, and has packed their personal belongings. When the moving crew arrives, everything should be prepared. Of course, it’s recommendable to let professionals pack the office technique because it usually requires special attention. What is the most important for your office relocation? Being organised! This determines the success of your moving, so think out your choice. Office relocations are much more complicated than most of the people could imagine. When you change your home, this affects only you and your family. There are not so many problems which can occur in these cases. When we talk about office removals, the situation is completely different. There are many things to should consider and prepare before your office move. No matter whether you’re moving to the next building, or on the other side of the city, or on the other end of the country. The main problem is that the work shouldn’t stop. Time is money, isn’t it? You should find out how to relocate your office and at the same time continue your work and keep your clients. Hiring a professional office relocation service could be the answer to your problems. You could trust them with all details around organisation and transportation. What you should do is inform your employees and clients of the future changes. The professional movers could give you a few useful advice about what your office workers could do to ease the process and what could be their responsibilities. You should connect with your clients and should tell them your new address and contact details in advance. At the same time should take care of providing electricity, water and Internet connection in your new office. Have a word with your employees and decide how to arrange your new office. These are only a few things which should be done. The movers could help you to organize everything so to be easier and faster to go back to your working process. Should You Offer Relocation Packages to Your Employees? Relocation packages are getting more and more popular with every passing day. The reason for this is that some big companies realised that if they want to relocate their business somewhere else and at the same time to keep the good and highly skilled employees, then they should stimulate them in some way. 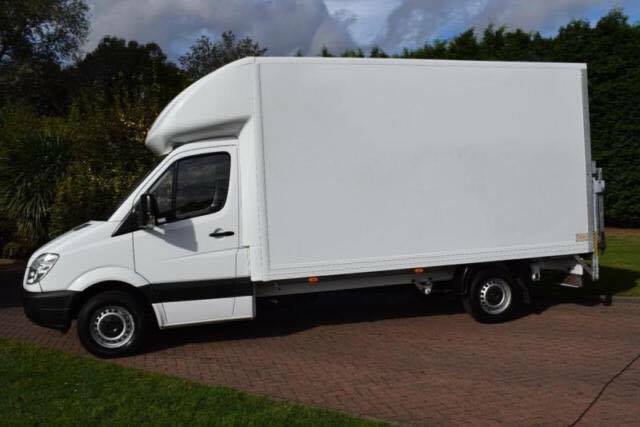 Offering relocation packages could be a good decision and Man and Van Bournemouth can help you design the perfect package. The truth is that the UK there lacks in experts. Unfortunately, people are not very stimulated to develop their abilities and that’s why it is so difficult for the employers to find highly skilled workers. At the same time, many businesses move to areas where office rents are not so expensive. But not many employees are willing to leave everything only on account of their job. Well-trained workers usually know their worth and they would prefer to find another job than to spend money on relocation, just in order to keep their old one. It might be much more convenient and easier just to offer your employees relocation packages. What does this mean? It depends on you what you would include in the relocation package but mainly you should cover most of the worker’s expenses. Depending on your budget, you can talk to a removals firm and create a package to ease your employees expenses on the moving. machinery. If you are in the process of office relocation, here are some tips that you can find helpful. As you cannot stop functioning as a business the right timing is crucial. This is why you should carefully plan every stage of the relocation in accordance with a reasonable time-frame from completion. For example, you could begin the move by moving the office furnishings, and leave the machinery for a later stage. When you are moving the furniture calculate carefully the amount of time that it is necessary to disassemble, relocate and reassemble because any delays will result in business loses. You can ease the process by obtaining blueprints of your new office and decided the placement of the furnishings and machinery prior to the execution of a moving stage. This will save you time, which you could invest in the actual relocation. But before commencing any planning and moving, make sure to inspect carefully the premises of your new office. If you notice any damaged areas or the necessity of upgrades, first execute these tasks and then begin the relocation. If your new office space cannot accommodate all the furniture from your previous workspace, you could always liquidate the extra furniture pieces. Companies like Shore Office Warehouse can help you turn extras into extra assets and at the same time help with your spacial planning problem. Make sure to book the firm at least a month before the move, especially if you are moving during the summer, as help can be hard to find during the summer.